Looks and tastes fancy and took only 5 minutes to make. 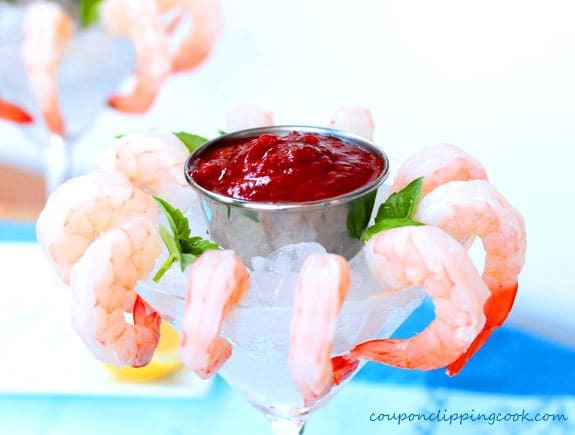 One of my favorite holiday appetizers at my grandmother’s house was shrimp with cocktail sauce. I used to hang out with her in the kitchen when I was little and can vividly remember how she made things. 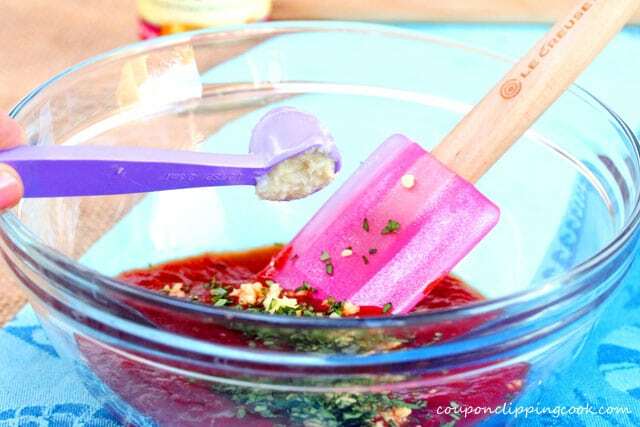 The ingredients she used as well as her hands are etched in my mind. As I write this what comes to mind are her fingers coated in flour as she dipped each piece of chicken in flour just before adding them to the electric skillet to make her simple and delicious Fried Chicken. It’s so interesting how some things stick in your mind and other things don’t. 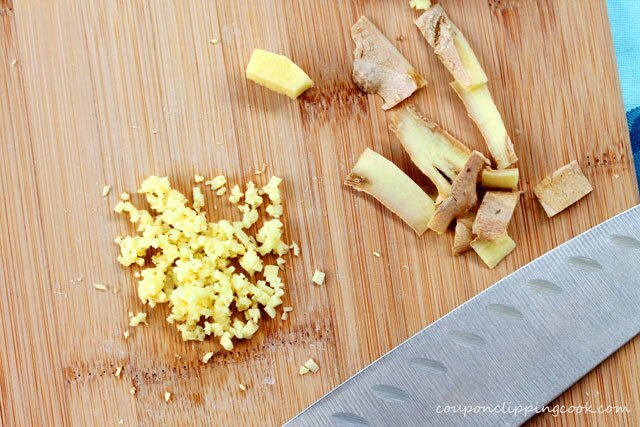 How is it that I can remember ingredients my grandmother used in recipes all those years ago but I can’t remember a password that I set a week ago to save my life. 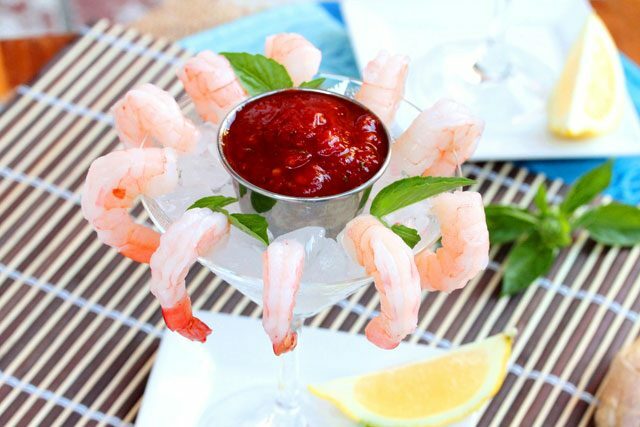 The shrimp cocktail sauce she made always stuck with me because it had just 2 ingredients, chili sauce and horseradish. The hardest part about making shrimp sauce with these 2 main ingredients is finding where they are in the grocery store. 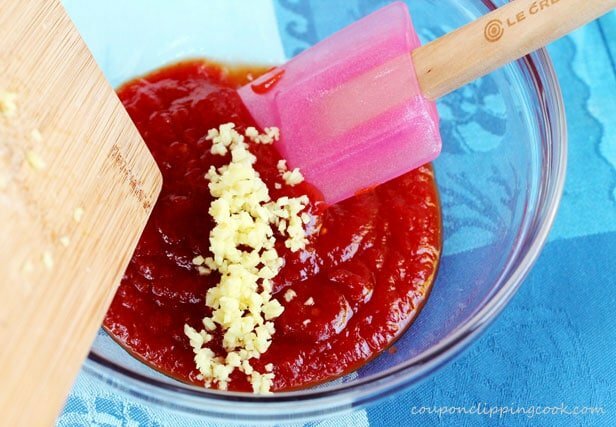 I think chili sauce was one of the top ten grocery items people would ask me directions for when I worked in the grocery store. 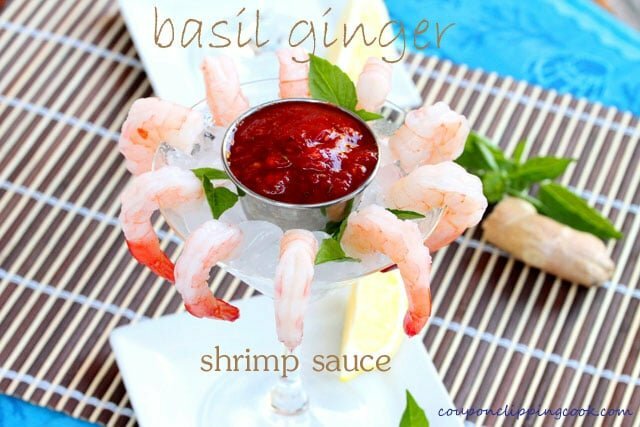 In this recipe I used chili sauce and horseradish along with a twist of fresh basil and ginger which add wonderful flavor that tastes scrumptious with the shrimp. 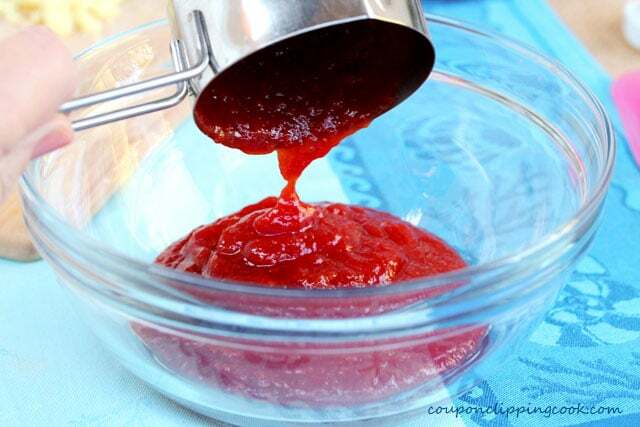 In a small bowl, add chili sauce. …and the juice from a quarter of a lemon. 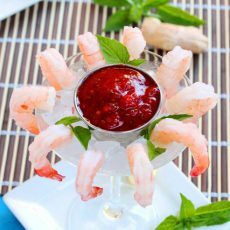 Stir and serve as a dipping sauce for boiled shrimp as an appetizer, side dish or very light meal. 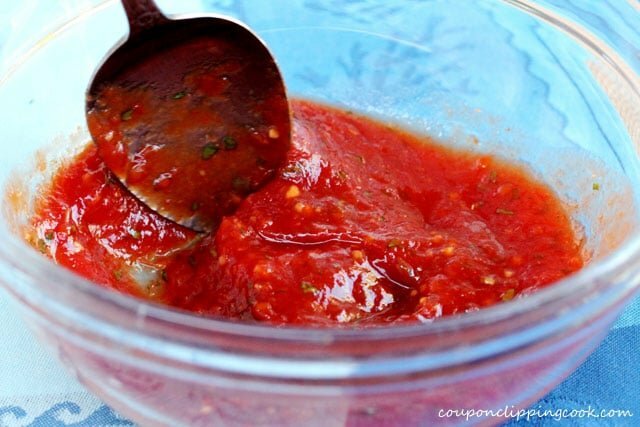 Cocktail sauce is a great recipe to make ahead of time and lasts nicely in the refrigerator for a few days. 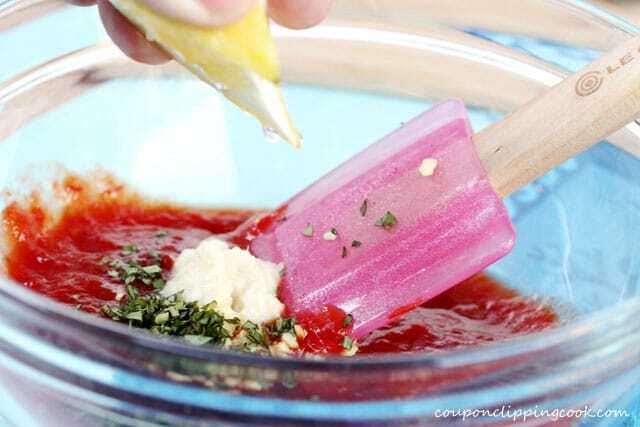 In a small bowl, add the chili sauce, ginger, basil, horseradish, and juice from a quarter of a lemon. 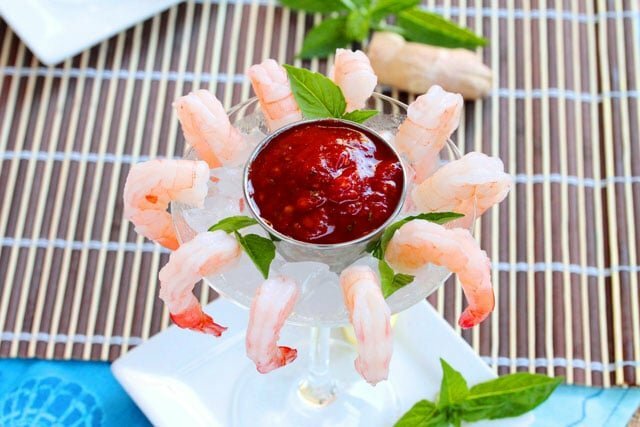 Stir and serve as a dipping sauce for boiled shrimp (shrimp cocktail). 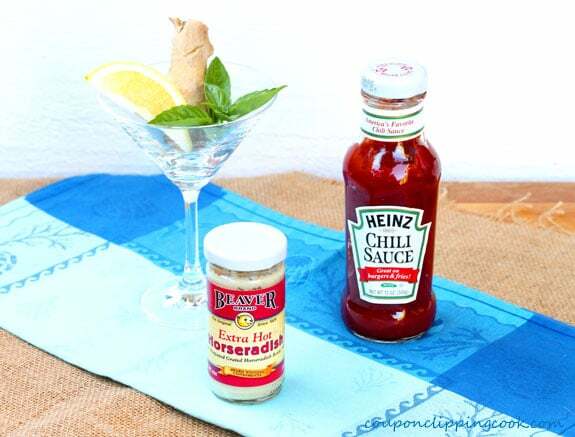 Cocktail sauce is a great recipe to make ahead of time and store in the refrigerator. 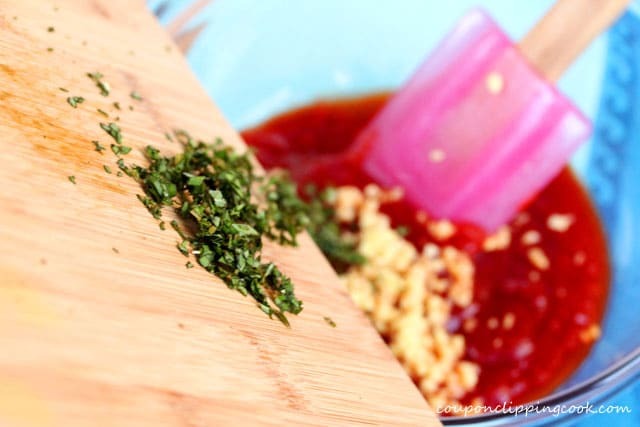 Me and some shrimp with this sauce = one happening party! Thanks! Hi Pamela, thank you for stopping by!